This is a great walk-in-the-woods hat for hunting season. It’s Alexis Winslow’s Cabled Dad Hat, a free pattern if you’re OK signing up for her Knit Darling newsletter. She doesn’t stuff my mailbox with a bunch of emails. I’m grateful for that and for this excellent free pattern. It’s a nice rhythmic knit. 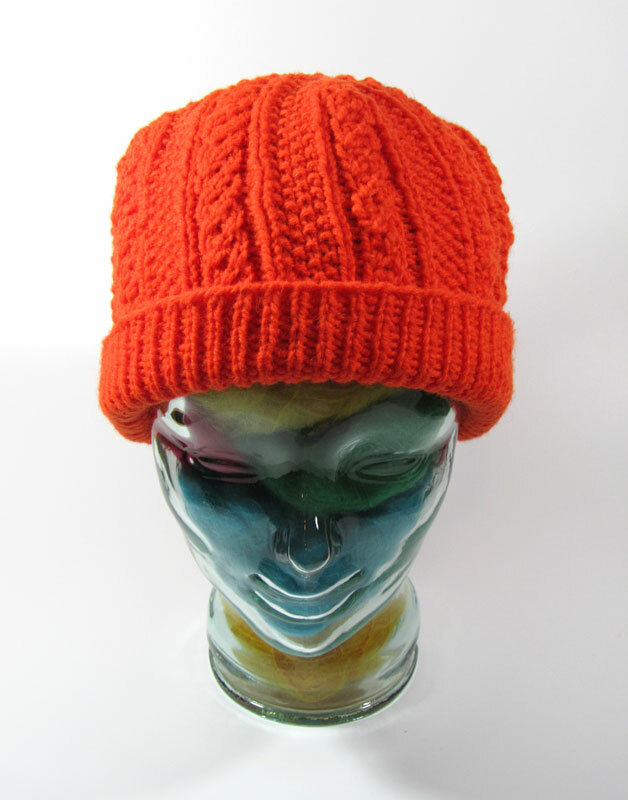 I used one of the best blaze orange wools around: Briggs & Little Heritage in their hunter orange colorway. 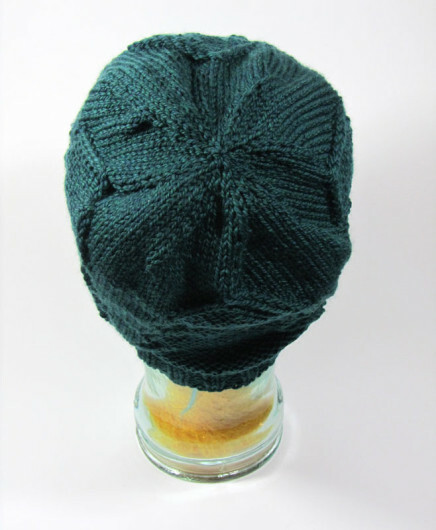 It’s a rustic worsted, so if you’ve got that itch-adverse thing going, you’ll likely want to choose another yarn. But I like the feel of rustic wools. What others think is itchy I just experience as warm. My brother the hunter is wearing this one. Top priority for me…was the top. I eschew hats that have pointy tops. This one has a bit of extra fluff where the crown decreases start, which a softer wool would probably tame, but check out the top. No point! I was drawn to the this next one, a design by Miranda Grant of Pokitoknits, because pine trees and I are good buddies. Her hat is called Coniferae. Coniferae, also known as Pinophyta, is the division of plants that include pines, firs, and other evergreens. You know…conifers…cone-bearing trees. And Coniferae is basically the Latin plural feminine of conifer. 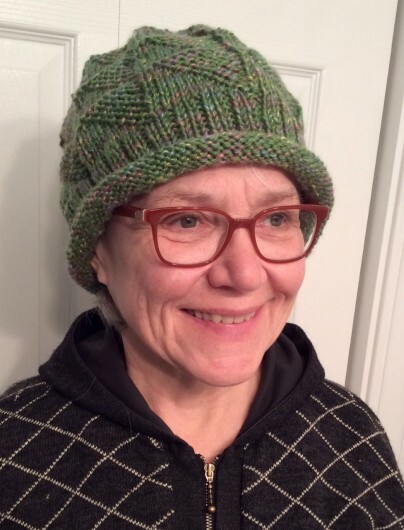 Anyway, it’s a really nice hat and deserves more attention than it’s getting on Ravelry so far. I used Stonehedge Fiber Mills Shepherds Wool, a worsted, in their blue spruce colorway. Coniferae has an interesting almost whirligig top and, again, no dreaded pointy top. Grant’s pattern calls for an Aran weight, but my hat worked out nicely in a worsted. 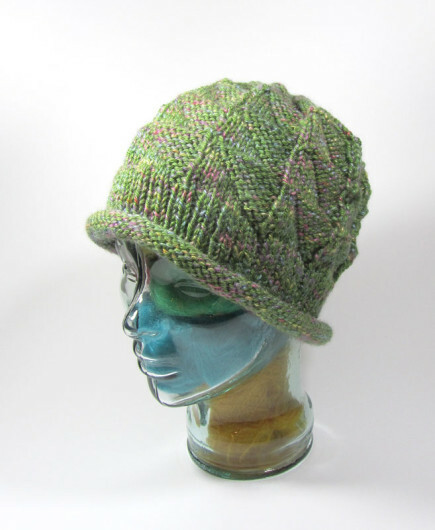 This next hat is Diametric, by Susan Villas Lewis of Stay Toasty and The Thinker hat fame. And here’s the glass head wearing it and showing off the patterning a bit more. The hat is an enjoyable knit. Just enough going on to keep a knitter from getting bored. 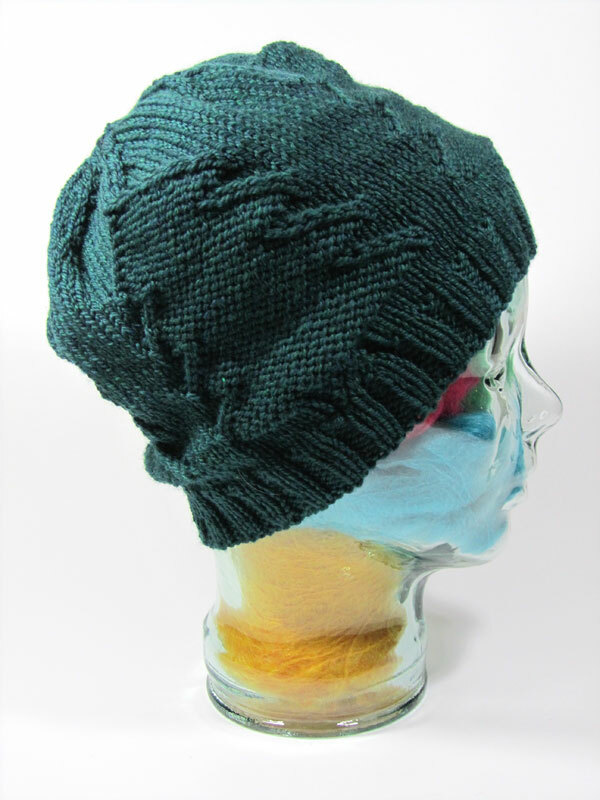 The crown decreases are worked in pattern, giving the hat a nice swirling effect and…you guessed it, no point. 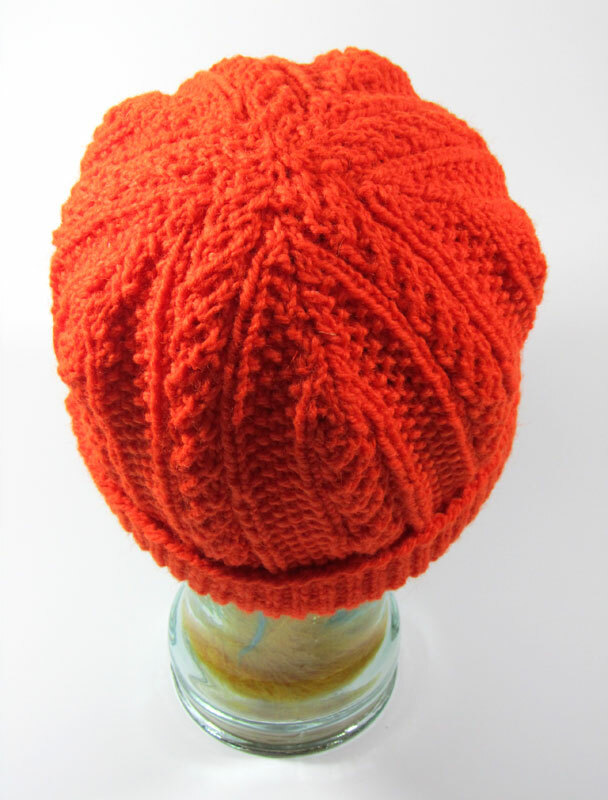 This is Kraemer Yarns Perfection Tapas, a 23% wool/77% acrylic worsted. 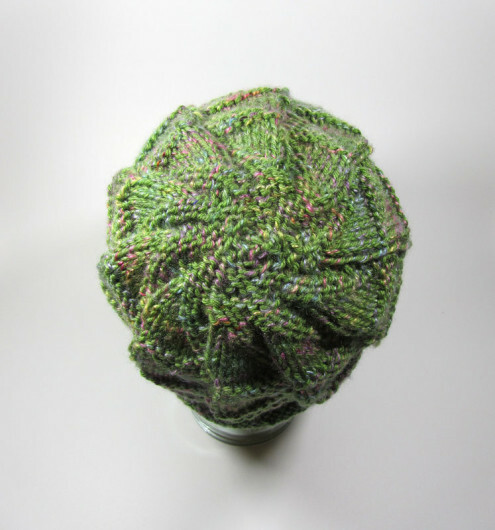 I was drawn to the pink and green mix, their arugula colorway, and was prepared to not like the yarn much. No knots. A nice soft but weighty quality to it. It won me over.